This Pepper Jack Potato Casserole is a new favorite in our house!!! OMG! So creamy and delicious. This potato casserole is different from other recipes in that it uses heavy cream. The cream makes this a cross between a potato casserole and scalloped potatoes. It makes such a difference! So yummy!!! If you are watching your calories, you can substitute half-and-half for the heavy cream without sacrificing the creaminess. I have made this Pepper Jack Potato Casserole with both and it turns out great either way. This Pepper Jack Potato Casserole is loaded with tons of great flavor! I loved all the yummy pepper jack cheese. 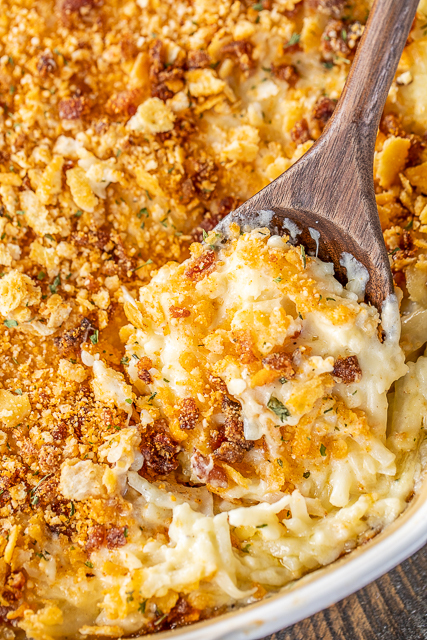 If you aren't a fan of pepper jack, feel free to substitute monterey jack. 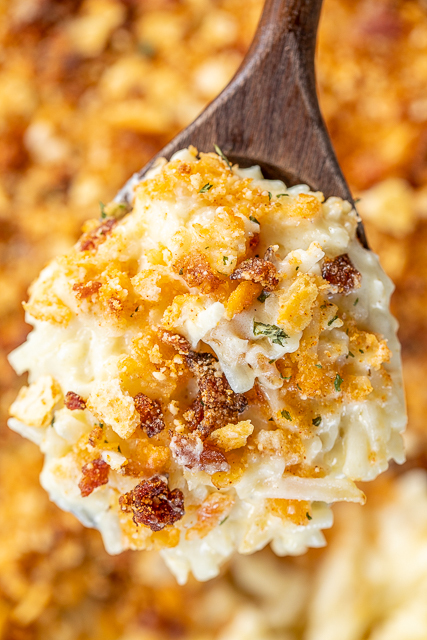 Don't skip the topping - it really puts the potato casserole over the top! Ritz crackers, parmesan cheese and bacon - YASSS!!! 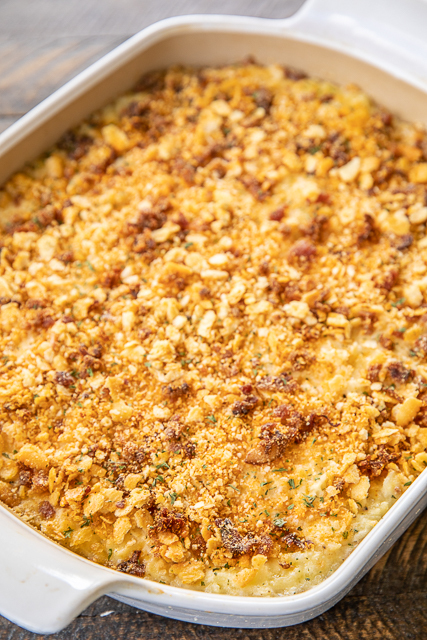 You can make this Pepper Jack Potato Casserole ahead of time and freeze for later. I like to split the casserole between a couple of foil pans and bake one now and freeze the others for a quick side dish later. Combine crushed crackers, bacon, remaining 3/4 cup grated Parmesan cheese, and paprika. Sprinkle over potatoes. 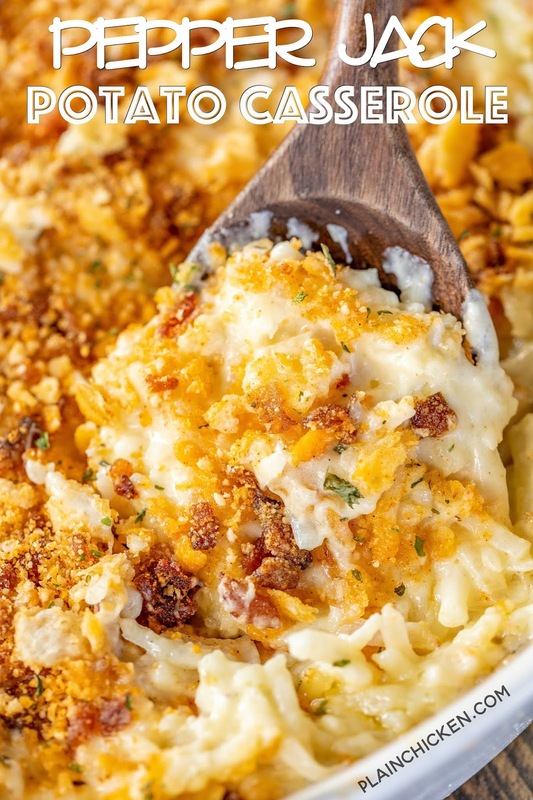 My family loves your pepperjack rice bake, I can't wait to try these pepperjack hashbrowns this weekend!